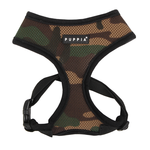 For a comfortable, controlled walk with your dog, a well-fitted harness is a must - especially if they tend to pull. 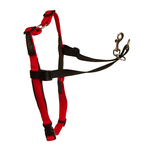 There are actually a number of harness models out there (and we have them all in-stock online! 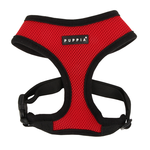 ), so it's worth checking out which one is right for your dog. 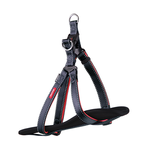 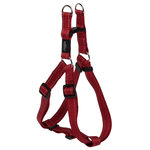 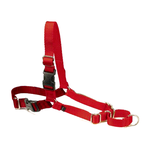 These kinds of harnesses are your most common, yet they are best suited to dog that do not pull excessively. They're also great for small and toy dogs or those with a neck injury, since any impact from pulling is dispersed over their chest and shoulders. Plus, the ring for the lead attachment is located at the back of the harness, making it easy to safely attach them to seatbelts for road trips. 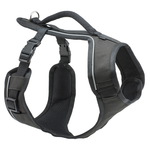 For dogs that pull like crazy when out for a walk, front-attaching harnesses are almost essential. 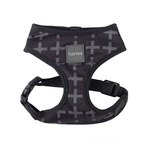 With the lead attachment located at the front of the harness (usually on the chest), these harnesses force your dog to turn around when they throw their full weight forward or you apply tension to their lead, thereby preventing your dog from lurching forward. 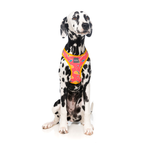 Generally back-attaching harnesses, light-up dog harnesses are great for walks at night-time, as they contain vibrant LEDs that not only look amazing, but increase visibility too. 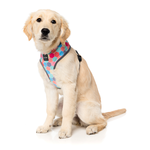 Doglite's are particularly popular, and are available in a wide range of colours. 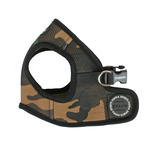 Collars are available, too. 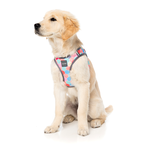 While not a harness in a traditional sense, gentle leader harnesses are great for large dogs, aggressive pullers and dogs in training. 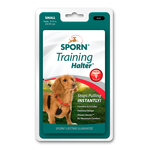 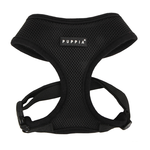 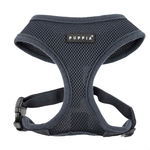 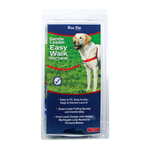 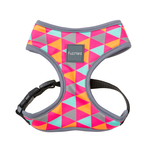 Designed with one loop over the bridge of the nose and another loop around the neck, these harnesses forces your dog's nose downwards when they pull, corrective this bad behaviour. 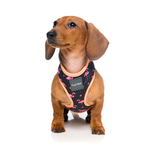 For a more in-depth look at dog harnesses plus other accessories, check out our article: What is the best harness for my dog? 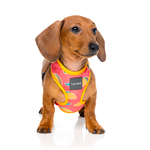 Wondering what our recommended dog harnesses are? 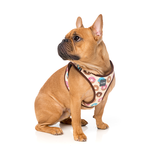 Fuzzyard Go Nuts Harness: A super-cute harness with a doughnut print for your sweet pooch! 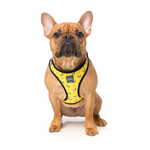 Buy dog harnesses online at Pet Circle and enjoy the convenience of free delivery over $29 straight to your door, always at the best price with our price match guarantee.